While gameplay comparisons between Tomodachi Life and Animal Crossing: New Leaf were often made and always a bit wrong, similarities could certainly be identified in their target audience and potential success. As a humorous, rather quirky Mii life-sim, Nintendo no-doubt hopes that it'll be an evergreen release on 3DS, quietly accumulating sales towards impressive overall sales. After a modest launch week in the UK, the title certainly seems to be gaining momentum and giving itself a strong chance of long-term success. For the third week in a row the 3DS game maintained sales momentum and, as a result, moved up the UK charts as other releases drop away. With sales only 5% down on the previous week — which is pretty reasonable after a month on the market — Tomodachi Life has climbed into the all format top 10, in ninth place; the story's even better in the single format chart, where it's moved up one position into fifth place. 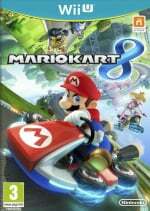 Mario Kart 8, meanwhile, continues to perform reasonably well; it's fallen down to 16th in the all format charts, but is still up in sixth place in the single format results. For old-time's sake, too, Animal Crossing: New Leaf has crept into the top 40 once again, securing 36th in the all format results and 40th in the single format results; that's an impressive late return for a game over a year old. It'll be interesting to see whether Tomodachi Life and Mario Kart 8 can keep mixing it at the top end of the UK charts throughout summer and beyond. We should also have NPD results soon, which will show us how they've performed in the US during June. 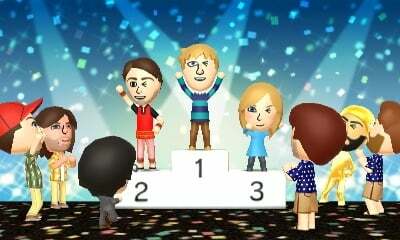 I'm glad Tomodachi is doing reasonably well. Maybe in a way it will help us get a release of the Disney Magical World game. Tomodachi Life deserves it honestly, it's kept me well entertained for the past month. @Peach64 I really hope that you are right. They always say when you want something and you can't have it, it just makes you want it that much more. I have wanted Disney Magical World since I first heard about it (when it was released in Japan). I was praying for an English release and got really excited when it heard it was going to. Then when I heard at that point that it was only for NA, I was devastated. This is a game I want desperately now and am trying to hang in there for an announcement for EU/AU. Although I don't know how much longer I can wait, as it feels like I have been waiting forever. I want Disney Magical World so badly now. Animal Crossing is just because it is currently £17. Tomodachi life is great just bought. My newspaper - Long Island Newsday - has a 3/4 page review of TL today. Can't imagine anybody going to Newsday for their video gaming news or reviews but it's still coverage. They summed the game up - "Love Mii or Leave Mii". Not sure if Nintendo uses that phrase or not but it's a pretty good one. Just bought New Leaf, so that'll be entirely because of me. I paid £35 in Argos tho, is it really selling for £17 elsewhere? @manu0 It wouldn't hurt them to type up a list. I haven't had the opportunity to play Tomodachi yet, but it keeps pestering me in the back of my mind. Wouldn't be nice to have the charts lists you mention in a proper manner, i.e. 1. (Game X) (last week's position) (weeks on chart) - 2. (Game X) (last week's position) (weeks on chart) - 3. (Game X) (last week's position) (weeks on chart) etc. etc. Yikes, thanks. I'll take consolation that £35 is still half of what I'd pay in Australia. @Fandabidozi No it's not. Just check Game and Argos, it's still full price. It's a brilliant game , enjoy! Ps if you want a welcone code for tomodachie life eu. Let me know. I've one welcome code left. Hey, thanks that's really nice of you to offer. Won't be picking up TLife anytime soon tho, so many unfinished games I really gotta attempt atm.